Whether you're traveling on vacation or on a business trip to one of the spectacular destinations in Mexico make smart decisions about what to bring and pack light before your trip. 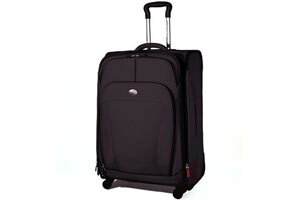 Check out the following list for tips on traveling light. Whether you're traveling on vacation to one of the spectacular beach destinations in Mexico or on a business trip to Mexico City, Guadalajara, Monterrey or any other destination, make smart decisions about what to bring and pack light before your trip. If you're flying, remember that all airlines have limited the weight that each passenger can bring. Travelers carrying only a small suitcase can fly with an affordable airline without needing to check their luggage, saving you time and money. - Pack with a "less is more" attitude, keeping in mind that less weight to carry means more comfort and mobility. Bringing along fewer clothes in your suitcase gives you extra space for more items. The best option is to pack only what you can fit in your carry-on suitcase. - Choose clothes that are easy to mix and match, like black pants, jeans and five shirts, along with a sweater or jacket and a blazer. This way, you'll have several different combinations to use for business meetings or during your free time. 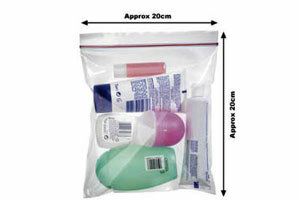 - Store all toiletries in small bottles of two ounces or less, and pack them in a clear plastic baggie in your suitcase. Place the bag in the outer pockets of your suitcase so you can easily take it out when passing through security checkpoints at the airport. - Don't forget to travel with an official ID or driver's license. When visiting another country, scan the first two pages of your passport and/or visa and send them to your personal e-mail address in case you lose them and need to report the numbers. Carry your documents with you, preferably in an inner pocket of your jacket.